What options exist when safe mission execution depends upon the identification and tracking of important power or communication cables? Both on land and submersed, the location and mitigation of important cables is an essential step in any construction or salvage project. JW Fishers Mfg. 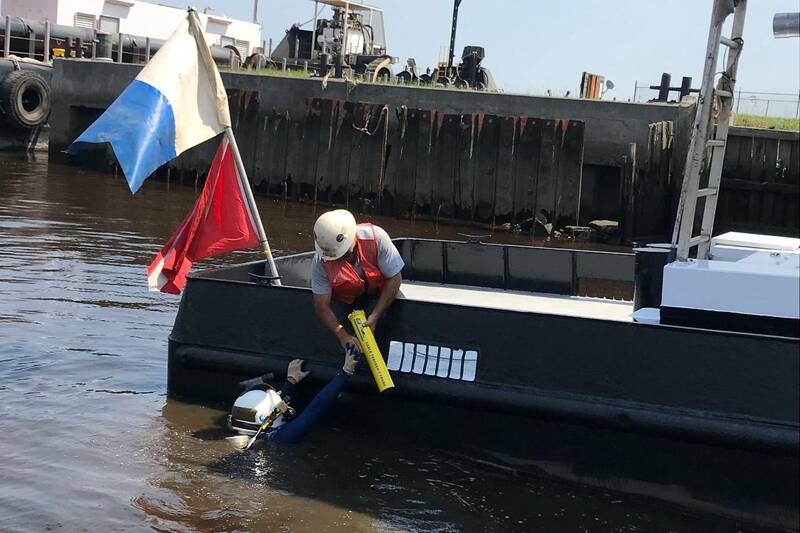 has the tool for the job; the CT-1 Cable Tracker, specifically designed to locate and track buried power and communication cables, both on land or underwater. This advanced tracking system comes complete with everything needed to effectively track subsea cable. The CT-1 package consists of a shore-based signal injector box and the cable tracker probe itself. If the cable being tracked is “dead,” then a signal will have to be induced into the cable. The signal injector is connected to the shore end of the target cable and, after the signal has been sent, the cable tracker probe is used to locate the electromagnetic signal along the length of the cable. Bald Head Island is an exclusive, privately owned island that is accessible only by boat. Although small, the island has played a part in two American wars. During the American Revolution, it was home to the British Fort George. During the Civil War, the same area served as a confederate base of importance to shipping and smuggling known as Fort Holmes. The island is located at the tip of Cape Fear and between the Cape Fear River and Atlantic Gulf Stream. The land mass of Bald Head Island ends by trailing off into roughly 30 miles of treacherous sand bars known as the Frying Pan Shoals. Today, the island is inhabited by a small population of 175 people. The abundance of sea turtle nests has led visitors to use the phrase, "I'm on Turtle Time", which signifies the care free (and car free) feeling of being on Bald Head Island. 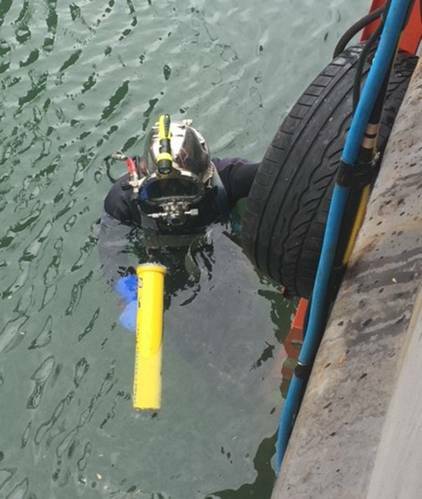 Black Dog Divers of Portsmouth, N.H. specializes in all aspects of underwater construction to include pipeline and cable installation, maintenance and tracking. They provide a comprehensive range of commercial diving and marine construction solutions for clients across several industries. In May of 2018, Black Dog Divers accepted a job close to JW Fishers’ factory, just outside of Boston, Mass. 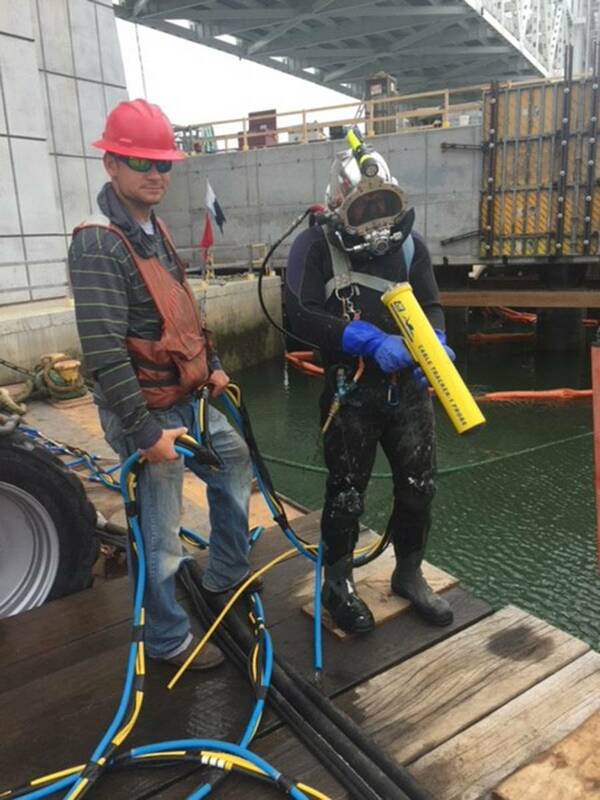 The company needed to locate live submarine cables for the construction of the new Fore River Bridge connecting the towns of Quincy and Weymouth. They completed the job both quickly and efficiently with JWF’s CT-1 cable tracker system. The tool was imperative in locating the cables in an effort to mark where they were for construction and to ensure that all safety precautions were followed when dealing with this potentially hazardous project. The Fore River Bridge connects Route 3A over the Fore River between Quincy and Weymouth. The new bridge will be the third movable bridge at this location, the first being a swing bridge constructed in 1902. This swing bridge was replaced by a bascule bridge in 1936 when it was determined that the earlier bridge presented a hazard to river navigation. In the late 1990s, the swing bridge was found to be badly deteriorated and in 2002, traffic was directed onto the current temporary bridge. In 2004, after appropriate historical documentation, the 1936 span was demolished. The new bridge will open late summer of 2018. • Cape Fear • Island • JW Fishers Mfg.